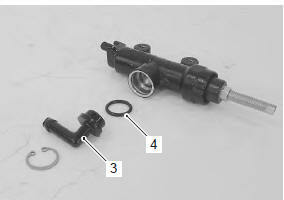 Refer to “rear brake master cylinder assembly removal and installation” . Disconnect the reservoir hose (1). 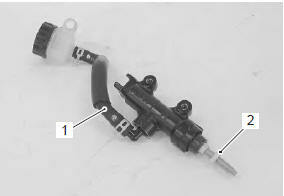 Remove the brake hose connector (3) and o-ring (4). 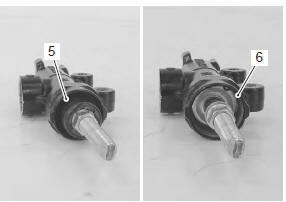 Pull out the dust boot (5) and remove the snap ring (6). 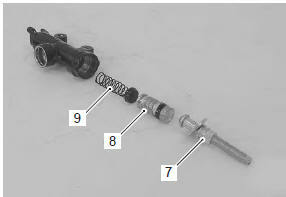 Remove the push rod (7), piston/cup set (8) and spring (9). Apply grease to the push rod end.